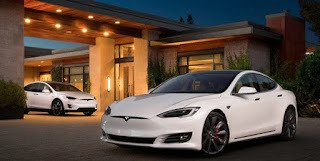 Some time ago the performance of Tesla get a response with the discordant tone of one of the 'old people' in the automotive world that is Bob Lutz, former General Motors officials. But the argument from Bob Lutz is legit - legitimate because it was previously Tesla also experienced bottleneck problems in Tesla Model 3. Well, this time there is a confirmation from the Tesla that we quoted from the Electrek page, related to the sale of Tesla products. So far, Tesla's own party confirmed it will achieve sales of 300,000 units of vehicles in the first quarter of 2018. This seems to be easy to achieve, especially after in the fourth quarter of 2017 ago Tesla has successfully broke the record quarterly sales at 29,870 units of vehicles. This kind of achievement is what Tesla really needs to prove to the public and also to the critics that they are not as accused. 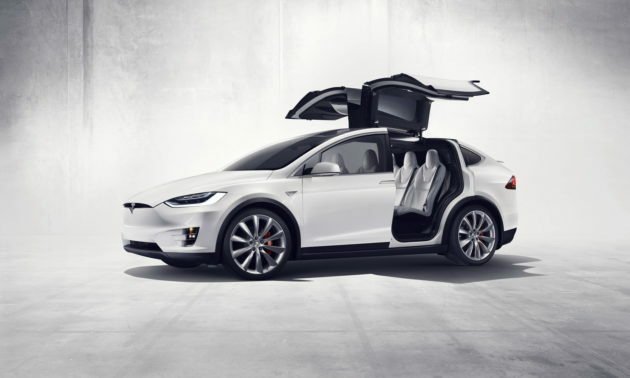 Until the end of 2017, Tesla in total has managed to sell as many as 286,000 vehicles, of which the majority of Tesla products sold are Tesla Model S with details of 212,821 units of Tesla Model S. While Tesla Model X becomes the second best selling product in the market with details a total of 71,927 units of vehicles. The third position is filled by one of the interesting products from Tesla's Tesla Model 3. However, it is understandable that the total number of Tesla Model 3 is still far below its brothers because of the bottleneck problem experienced by this product. In total there are 1770 units of Tesla Model 3 sold to the market. In general, sales growth from Tesla itself is quite good, where in the third and fourth quarter of last year their sales rose, although it had dropped in the second quarter. With the achievement of 300.ooo Tesla product unit target in the first quarter of 2018, then in general Elon Musk as CEO of Tesla itself has successfully fulfilled 9 of 10 targets diusungnya. The only mission from Elon Musk that has not been achieved is to get a gross margin of 30% or more for four quarters alias a year in a row. Surely the Tesla still have a lot of homework related to their targets, let alone there is a new target in early 2018. With the problems Tesla faced herself, what they really need right now is the achievements of this kind. Moreover, Tesla will soon start their operations in Asia with their new factory in China. So, if you think, will the growth of this Tesla will continue to go with a positive? 0 Response to "Tesla Confirm Global Delivery Of 300 Thousand Units"